This is where I will keep the list of medications, vitamins, minerals and supplements I take or have taken, what they are/were for and how they affect/affected me. I will try to keep it as current as possible. It is more for me than anything else, but it might give you an idea of where to start medication, vitamins, mineral and supplement-wise if you've recently been diagnosed. Please remember, though, that what works for me might not work for you, and (if you're on medications, vitamins, minerals or supplements for other things) some of the things I take might interfere with something you're already on, so do your research! Also, I am NOT a doctor, and I wouldn't recommend taking medication, vitamins, minerals or supplements without talking to one, so PLEASE don't just go out and buy products without talking to your doctor FIRST. If he/she doesn't know what vitamins, minerals or supplements would benefit you AND gives you the ok to research it out and take them, then ask your pharmacist (or nutritionist if you have one) because chances are they will. My pharmacist even told me what time of day would be best to take them to get maximum benefits from all my medication, vitamins, minerals and supplements. Just make sure that you tell them what medications, vitamins, minerals and supplements you are already taking so they give you the best advice possible. Bottom line: Keep an open line of communication between yourself, your doctor, your pharmacist and your nutritionist (if you have one). It'll ensure you are able to be the healthiest you can be! Levothyroxine (88mcg): This is NOT a Fibro med. I take it for Hashimoto's Thyroiditis. I take this 1/2 an hour to an hour before I eat anything in the morning. Flaxseed Oil Tablet (1000mg): I decided to add this back into my diet in August of 2017. I take one of these daily at lunch time, later if I forget to take it with lunch. I take this to help reduce my stiffness and inflammation and increase mobility. 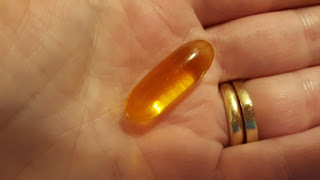 It also has Omega-3 which was good for my heart, and Flaxseed Oil is rumored to help with high cholesterol and blood pressure, and it is even said to aid in weight loss and digestion according to some researchers. I had stopped taking it in April of 2017 to see how I would do off of it since I made such improvements with my diet and health, but decided that I should try adding it back in due to my cholesterol levels being higher than we'd like and due to my blood pressure being up higher (but not high by any stretch) since going off of it, and because I want to see if it helps with my weight loss journey and my overall health. I do feel better back on it, and I do feel like I am getting around a little better again (i.e. less stiffness, though that wasn't bad without it). If I have any easier bruising/more petechiae due to adding it back in, however, I will have to remove it again. Sometimes my dosage is more than 1000mg. I have taken as much as 1500mg. Some of the teas I drink. 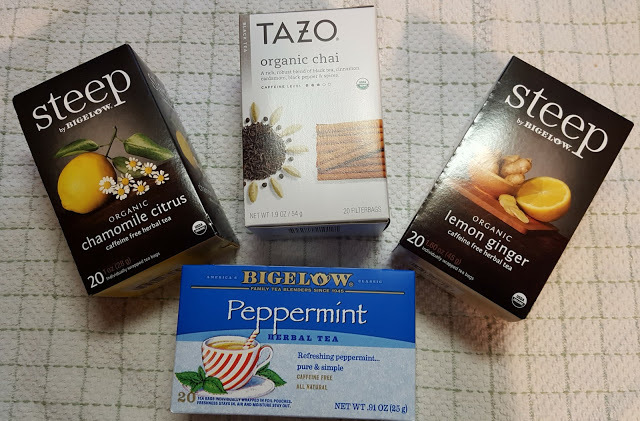 Tea (all types - though I try to avoid ones that say "natural flavors" on them): Because I no longer drink coffee, I find that regular black tea can help me when I have a migraine (and I avoid drinking black tea unless I have a headache coming on). Green tea is also beneficial to me for general health/weight loss, so I drink that most days. I have several herbal teas that I enjoy, and I use them for different reasons. As a general rule, as mentioned above, I avoid teas that contain "natural flavors", and opt for ones that clearly label each ingredient they contain. For more about some of the teas I drink, and what I drink them for, check out this page. Probiotic Acidophilus (0.5mg/100+ million active cultures): This is something I added in April of 2014 to help with overall health/digestion. Saline Spray: I also use saline spray to help with nasal dryness. I can use it as many times a day as I feel necessary (an allergist told me I could use it every hour of every day if I wanted), but generally use it twice a day. I find that saline spray also helps clean out the nose and helps with my overall health, especially during seasonal allergy season and cold/flu season. I definitely have less cases/shorter durations of colds and seasonal allergy flare-ups when I use the saline spray at least twice a day, and I also find that I have less sinus infections (I went from about two a year requiring an antibiotic to generally less than 1 a year requiring an antibiotic). I buy my vitamins (when possible) from Puritan's Pride. They have a lot of vitamins that are allergy-friendly (including the probiotic I take), so I highly recommend them! Their prices and sales are great, too! In fact, I can't find a probiotic cheaper anywhere else. Definitely worth looking into! Norvasc: This is NOT a Fibro med. I took this for arrhythmia. After discussing this medication with the doctor and the feeling that it may be lowering my blood pressure too much (I was having some dizzy-type spells), we decided to remove it for now and do an event monitor to see if we can capture the arrhythmia issue and determine if it's an irregular heart beat of some type or something else. It is possible it is something totally harmless and that taking a medication for it could be doing more harm than good, so we shall see. I'll let you all know. For now, I have been off of it since 3-23-13 and the dizziness has not happened. I am hopeful that we found the cause of those episodes and that the event monitor will be able to tell us more about what is going on with my heart, if anything (I don't have the monitor yet - I'm waiting on the referral). Update 4-16-13: I will NOT be doing the event monitor for now since all of the problems I was having with dizziness and racing heart are GONE since stopping the Norvasc and since the insurance will not cover the event monitor. If I start to have issues in the future, I am most likely going to have the testing done, but for now we are just grateful that stopping the medication seems to have fixed the issues I was having. Green Tea Extract (315mg): I took one of these daily at lunch time, later if I forgot to take it with lunch. I took it because of its great anti-oxidant properties and to help improve my overall health. On April 24, 2016 I removed it from my regimen because I felt it was no longer needed. I had no change in my condition/health after removing it. ﻿Multivitamin: I took 1 adult multivitamin daily at lunch time, later if I forgot to take it with lunch. I stopped taking it in June of 2016 as I was having trouble finding one without soy in it, and soy really messes with my system. If I find that I'm feeling too blah without it, I will search for a soy-free one again and take that, but so far I've only noticed that I feel better, so I believe removing it was a good thing for me. Vitamin D-3 (1000IU): I took one of these daily at lunch time, later if I forgot to take it with lunch. It was to help with my overall health. I stopped taking it on August 24, 2016 as we are suspecting that it is giving me a false high LDL level as all my other cholesterol levels are amazing. So far, I am doing ok off of it, but may add it in again in future if it is needed and we determine that it is NOT causing a false high high LDL level. Update: I did notice a decrease in my LDL level since removing this with no change in how I feel, so I am still not taking this. B-Complex and B-12: I took one of these daily at lunch time, later if I forget to take it with lunch. This was to help with my energy level more than anything. I stopped taking it in April of 2017 to see how I would do off of it since I made such improvements with my diet and health. So far, so good, but I will add it back in future if needed. Magnesium (250mg): I took one of these daily at lunch time, later if I forget to take it with lunch. This was to help with my general Fibromyalgia symptoms. I stopped taking it in April of 2017 to see how I would do off of it since I made such improvements with my diet and health. So far, so good, but I will add it back in future if needed. Turmeric (400mg): I took one of these daily at lunch time, later if I forget to take it with lunch. This was to help with inflammation and (possibly) with any digestive issues and moodiness/depression. I stopped taking it in April of 2017 to see how I would do off of it since I made such improvements with my diet and health. So far, so good, but I will add it back in future if needed. Meloxicam (15mg): I took this once daily IF I need it for pain. 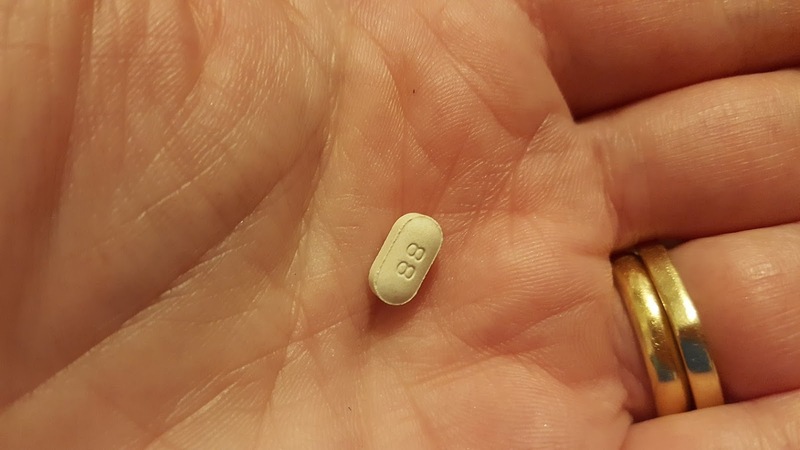 This medication could wipe me out sometimes, but it helped a lot with mobility and eased the pain quite nicely, though normally it was not 100% effective in removing joint pain, just muscle pain and/or headaches. Because I have not taken this in several months, I have moved this medication to "removed", though I do still have the prescription for it. I now take an ibuprofen for any headaches, body aches, etc. as needed (I may take an ibuprofen once every other month) for now. If I start taking this on a once-a-month basis or more, I will move it back to my medication list. Baby Aspirin (81mg): This is NOT a Fibro med. I took it to prevent blood clots because I am positive for 1 copy of the Factor V Leiden mutation and for heart health. I would take it between meals or at least an hour after dinner. I stopped taking it in June of 2017 when a hematologist recommended I stop taking it until I needed it for other issues (i.e. developed a blood clot, had a heart attack, was in my 60s) as he concluded it was adding to my easy bruising, was possibly making my petechiae worse, and because I have not had a blood clot in my past. 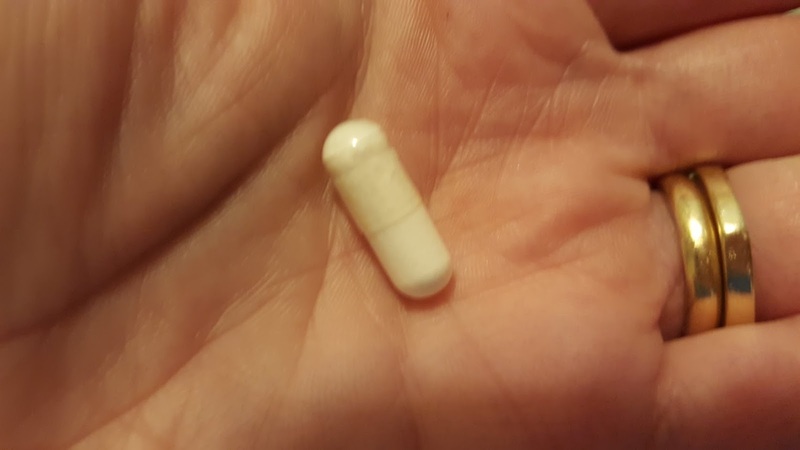 It is something I will eventually have to take daily again, but perhaps not for 20 years or more. Caffeinated Coffee: I used to drink this for brain fog/trouble focusing, asthma/congestion and/or a headache as needed. This did not work for me as a preventative measure, so I only drank coffee when I was dealing with symptoms. I stopped drinking coffee in all forms in November of 2016, though occasionally I will drink a very small amount of decaf coffee (maybe once every few months). Hydrochlorothiazide (25 mg): This is NOT a Fibro med. I took it once a day as needed for water retention. I had to remove this in May of 2018 due to a sunlight sensitivity that caused easy sunburning even when wearing sunblock and a petechial rash. I may have to re-add this at a later time if my water retention issue begin again and I can't find another water pill to take. I tried to add this again in October of 2018 only to not only have the same sunlight sensitivity, but also heat sensitivity that lead to a lot of itching and Restless Leg Syndrome, so I removed it from my rotation again. Spironolactone (half of a 25 mg pill): This is NOT a Fibro med. I took it once a day as needed for water retention. In July or August of 2018, I had to remove this after less than a week taking it due to severe, unpleasant side effects (heart palpitations where my rate got over 120, asthma-like symptoms, insomnia, and some other not-so-fun issues, too). Note: If you are looking for more information on drug interactions with herbal supplements or if you are just looking for more information on vitamins, herbs, botanicals, etc. in general, I encourage you to take a look at this page from the Memorial Sloan-Kettering Cancer Center. You can type in the herb, vitamin, botanical, etc. that you want more information on, and it will give you lots of information from where it is found in food, what drugs it can interact with, possible side effects, etc. It can really help you make an informed decision, and give you what you need to be able to talk with your doctor intelligently about natural supplement ideas for your treatment plan. 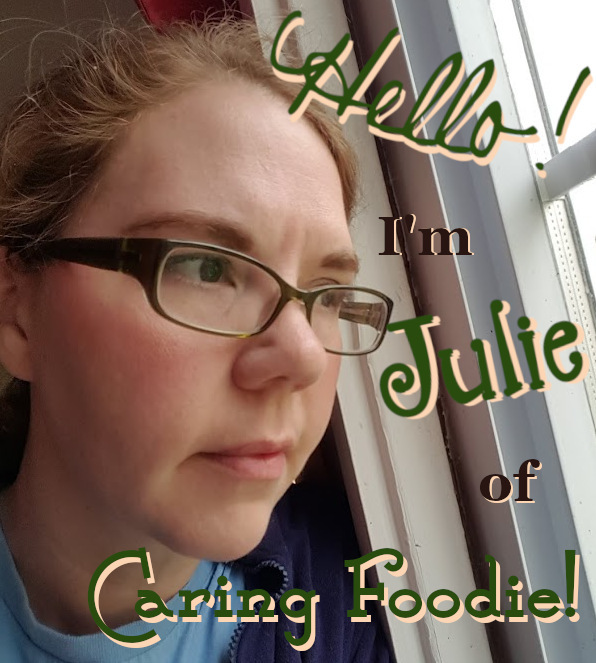 Hi, I also have fibromyalgia and need levothyroxine (interesting)! Your supplements are similar to the ones I take. I also struggle with emotional eating, weight, exercise induced asthma, and PCOS. It's nice to know that there are other women out there like me too! You are spot on with physical activity and how it affects pain. Sitting makes me miserable 7 pushing myself too hard during exercise is equally awful... It's hard to find balance. Anyway, I appreciate you sharing your struggles!